Honeywell humidifier filters work to keep pollutants out of your humidified air. 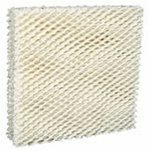 The Honeywell HFT600PDQ Replacement Humidifier Filter is the compatible filter for the Honeywell HEV 600 Series Humidifier models. 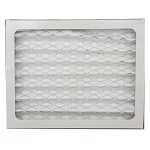 The Honeywell HAC-504 replacement HEPA cool mist humidifier filter reduces contaminants and minerals in your water to prevent airborne pollution and humidifies the air. The ProTec antimicrobial treatment prevents the growth of bacteria. 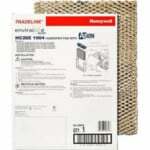 The Honeywell Enviracaire HC26E 1004 replacement genuine humidifier filter features Agion antimicrobial protection to prevent bacterial growth. This Honeywell HAC-700 humidifier filter eliminates minerals and pollutants from water and helps keep your humidifier clean and pure. 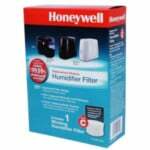 This Honeywell humidifier filter has a ProTec AntiMicrobial Treatment, which helps to prevent bacteria. 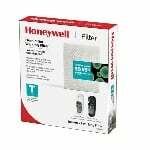 The Honeywell HFT600 is a Protec Antimicrobial Treated Filter that helps prevent the growth and migration of mold, algae and bacteria. 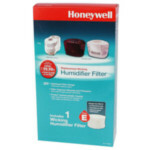 The Honeywell HC-888 Humidifier Filter Replacement is a genuine Honeywell filter. 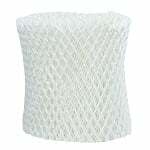 This HC888 humidifier filter reduces waterborne contaminants and minerals in your water. 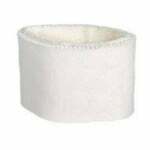 The Honeywell HC-14 Humidifier Filter Replacement reduces waterborne minerals and contaminants to keep your humidifier clean. 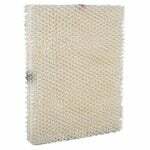 The Honeywell Enviracaire Elite HC26A 1008 Humidifier Pad replaces the humidifier pad in the Honeywell HE260A,B Bypass Flow-Through Humidifier, HE360A1019, HE360B1009 Powered Flow-Through Humidifier or Aprilaire 560 and 760 humidifiers. 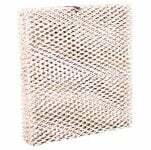 Humidifier filter removes mineral and pollutants from water. 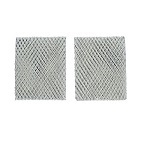 The Honeywell HAC-506 compatible humidifier filters comes in a convenient 2-Pack and fits select humidifier models including Duracraft. 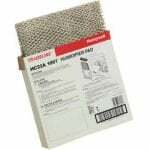 The Honeywell Enviracaire Elite HC22A 1007 Humidifier Pad replaces the humidifier pad in the Honeywell HE220A,B Bypass Flow-Through Humidifier or Aprilaire 550 Humidifier. Genuine Honeywell part. The 2-PK. 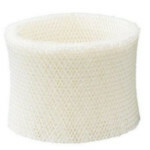 Honeywell ProTec PC-2 Humidifier Filters contains no harmful chemicals and keeps your humidifier cleaner. 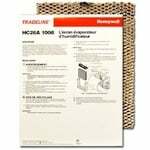 The Honeywell Enviracaire Elite HC22E 1003 Humidifier Pad fits on Honeywell HE220, and HE225 Bypass Flow-Through Humidifiers and Aprilaire 550 Humidifier. Genuine Honeywell part. 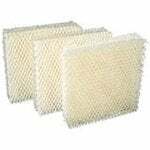 The Honeywell HAC 801 Humidifier Filter is a compatible filter that comes in this convenient, economical 3-pack value set. 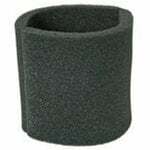 The FiltersFast D88 R is the correct replacement for the Honeywell HC-888 Humidifier Wick Filter. 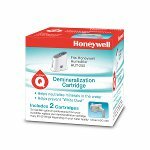 The Honeywell HDC-200 Humidifier Filter is a genuine Honeywell Demineralization Cartridge. 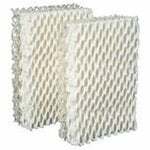 This humidifier filter replacement comes in a package of 2 filter cartridges.